Well I certainly picked an interesting time to join TEST. 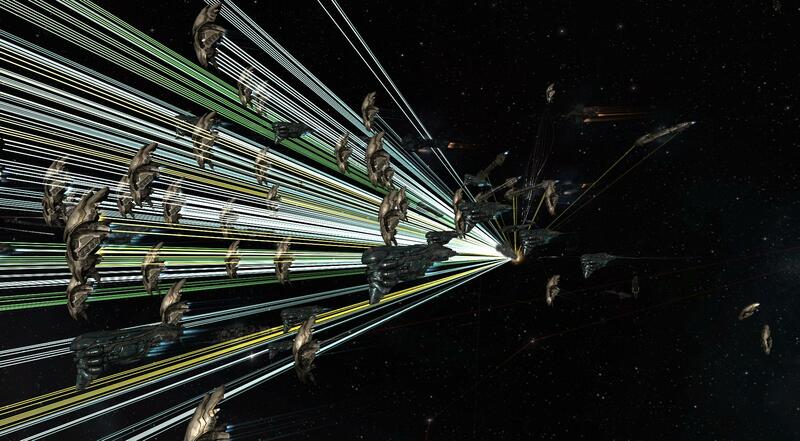 TEST alliance has thrown in with EMP to help open a second front in the big null sec war. Let's have a recap of that war so far. A collection of Russian alliances with Black Legion started a war against N3 and PL in the Catch/Immensea/Curse area in the South. The CFC announced, rather tongue in cheek, that they would be "honorable third parties" but actually staged an optional deployment in support of the Black Russian coalition. It was expected to be something of a cakewalk, especially when the CFC escalated to full war mode. PL and N3 managed to hold the opposition by shipping up, using almost exclusively T3 strategic cruisers and slowcat carrier blobs, escalating to titans and supercaps at the drop of a hat. This is a new development in the Eve meta and their opponents have announced they will be countering it with a Naglfar long range alpha strike Dreadnought blob although they have yet to have success with this doctrine in an actual battle. While all this was going on some CFC alliances (Gents, FCON and CO2) made opportunistic attacks on Droneland sovereignty. EMP, fed up of tidi fights in the South (and perhaps not rich enough to live with the expensive doctrines fielded there by their allies) moved north to counter and did so successfully. The CFC alliances withdrew and deployed down to the main CFC blob with some relief. EMP bullishly announced on Saturday that they would be invading Gents space. Gents' initial reaction is reported to be indifference, regarding the threat as minor. TEST announced on Sunday that we would be supporting EMP in this operation. We have been given access to EMP fleets and communications and some of us spent the evening melting GENTs POSes pretty much unopposed. There were a couple of very inept bombing runs but most of the bombers died and they didn't kill anything. The question posed now is how serious is the EMP/Test threat to the CFC flank? I think the answer is moderately. It's not going to be an amazingly aggressive assault on the Vale simply because CFC has local supercap dominance. If the TEMP coalition were to use Dreads then the CFC could escalate to Supers and PL and N3 would be unlikely to be able to rush north and save us. So it's a matter of how much we can destroy with Oracle and Brutix fleets. It probably will need some CFC elements to be deployed to face us. The handful of bombers and gate gankers we saw tonight were utterly ineffective and there's a lot of enthusiasm in both TEST and EMP. However pulling an alliance out of the south would crucially weaken the Omegafleet Naglfar doctrine which only works with a large number of Naglfars to achieve alpha after taking a few losses. Nor is there any prospect for the CFC of wrapping up the southern war fast then moving back north. In the Fountain war we saw the CFC pull out some amazing metagame moves - such as the infiltration of Test logistics and the dropping of sov in hundreds of N3 renter systems. 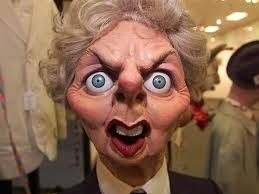 I think we're going to see Mittens once more reaching for his bag of dirty tricks. I had a hard choice a few months ago when my corp left Test, choosing to go with them to Dronelands. So it was fairly natural on leaving my corp to hook up again with my old friends in Test. I joined a corp called Rubella Solaris. 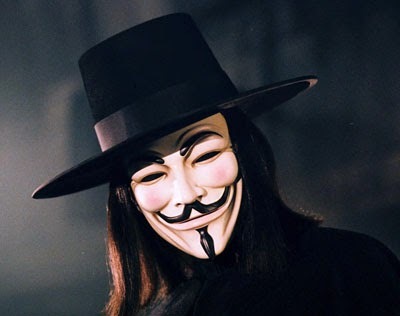 They have a history of faction warfare, having started off in Fweddit. They (in fact make that we) are one of the most active corps in Test. It's very busy and there's a lot of gangs which was what I was missing. I've run a couple of frigate fleets just defensive plexing in FW and I've been on some other fleets including a new specialty: ratter hunting interceptor gangs. It's something of a golden age for Test. With no sov we don't seem to be using caps or supercaps or even the larger subcaps so if you like flying frigs, as I do, it's great fun. I'm using two main ships - a Stiletto for our interceptor roams and Merlins for faction war. 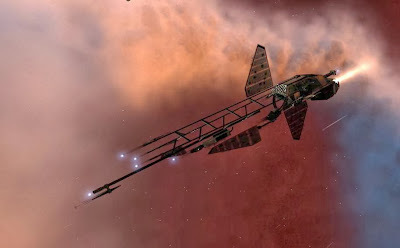 The loyalty points are flooding in so I may upgrade my standard FW ship from Merlins to Hookbills. So what lies ahead? Well leadership are doing their usual things of dropping heavy hints about plans in motion (which truth be told can be a bit annoying because invariably after a week of ** IT'S HAPPENING ** there's something underwhelming at the end if it all). If anyone wants to join us, there should be fun times ahead. Currently I think TEST may be the best alliance in the game for people who like frig pvp gangs, as they're generally pretty good, newbie friendly and a ton of fun. It's also pretty good isk-making. After Test lost the Fountain War my corp drifted into renting and I drifted with them. After a while I realised I didn't like ratting drones (they drop no loot, have no escalations worth doing and no faction versions) and I didn't like mining much. 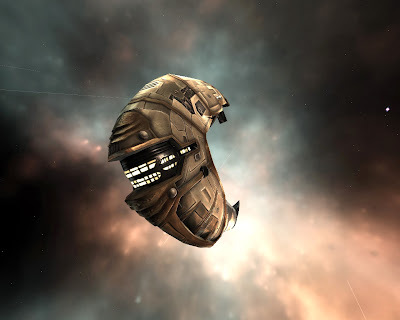 I do enjoy PI and have some PI alts still with my old corp SEDNA which is growing into a busy and bustling renter corp for people who do enjoy the playstyle. So here I am, back in the noob corp, pondering my options. I'm not alone. A handful of other SEDNA people also have left at the same time, all basically looking for action. 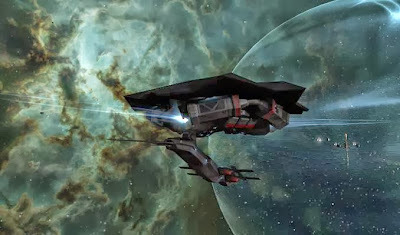 Nullsec looks very exciting with the CFC announcing yesterday that they would be going all in to support the Russians and Black Legion in their war against N3 and PL. Somewhat to everyone's surprise, PL/N3 have been doing amazingly well in that war, dealing with being out-numbered by shipping up to T3s and capital ships. Faction War is also very tempting with us having done quite a lot of small gang stuff during our time with SEDNA. And if I may say, we're quite good at it now. We went on a roam last night with numbers ranging from 4 to 6, in tech 1 frigates and bagged a rich haul of kills: 2 cruisers, a jaguar, 2 Fed Comets, 3 destroyers, 6 frigates and 3 noob ship cynos. 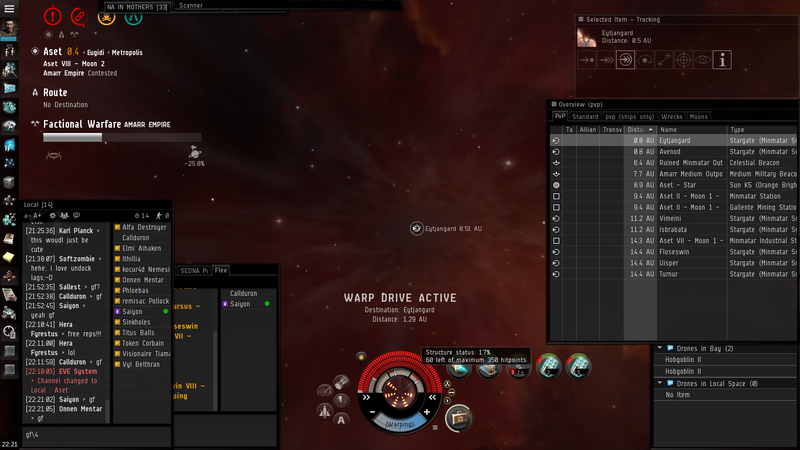 I lost one Merlin worth about 8 million isk. If we do enter FW we'll probably enter for Caldari as the Caldari Gallente sectors seem much more target rich. There's also perhaps the possibilility of rejoining Test but I'm more keen on this than my friends. I think I'd like to get back into FCing again, and more than just a handful of people. 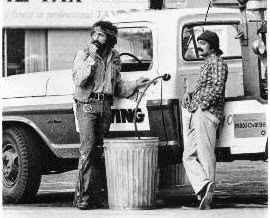 It's very nice to have made friends from previous adventures so I have options that will see hopefully me hooking up again with old comrades in arms. One of the things the latest build of Hearthstone features is the ability to go for longer in arenas. It's now possible to get 12 wins on an arena run. Who said warriors were underpowered? 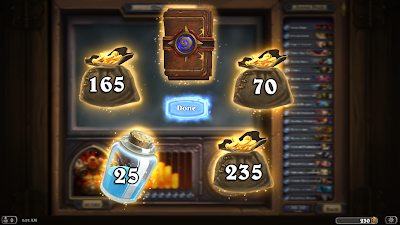 That's enough gold for another couple of arena runs! And the pack wasn't bad either! Priest deck still unbeaten - just! OK, he has 19 damage on the table and I have 16 life. But the title of this post is Priest deck still unbeaten. Yup, he attacked my creatures instead of going for the face. There's some credit to the deck, he'd just fought off a wall of dangerous creatures and I'd got a 6/6 and a 6/10 within two turns so he may have been a bit focused on the danger. Also the awesome power of Geblin the engineer - he'd just (very luckily) buffed the Berserker so I think my opponent may have been a bit confused. It was a useful learning experience for me - I should have cleared the board with Holy Nova instead of playing the engineer the turn before. I failed to anticipate the shaman's deck, Bloodlust is standard and I should have anticipated it. I talked last time about stealing people's ideas and if I wasn't convincing I hope CCP Rise was. After all if you wanted to build a car you'd steal the wheel idea rather than trying to re-invent it wouldn't you? Tournament decklists give us the decks of top players with decks that have survived trials by fire to win. So they're a great place to start. Team liquid is a good source - here are the decklists from the third TL open. Blizzcon's Hearthstone Invitational was spectacular and memorable and you may want to look at the decklists from there too although those are older and, I believe, not quite so tested against tournament opponents. I wanted a Priest deck just now for my daily quest so I chose to steal SpecialistSC's Mystyle deck from TL Open 3. However my problem was that I'm not a "whale" so I needed to analyse the cards I didn't own and select suitable replacements. Even though I'm missing a lot of the high end stuff there's a lot of the deck that is free so anyone can take this deck and adapt it. Mass Dispel for Thoughtsteal - similar cost, trades card advantage for a sometimes useful effect. This is a choice I'm not sure about and I may change it for something else after a few games. Lightspawn for Leeroy Jenkins. It's a solid card, not quite the bomb that Leeroy is but it often functions as a full 5/5 or even better. Stampeding Kodo for Abomination. Abom is intended to stall rush decks with lots of small creatures and the kodo does this too. Gurubashi Berserker for Sylvanas. This card can be fantastic in priest decks because you can kill smaller things then heal it for a wildly escalating enrage bonus. I've seen these hit 17 attack in the arena. It synergies so well with the Priest class abillity, in fact it may even be a better pick than the legendary SpecialistSC chose. Gelbin Mekkatorque for Argent Commander. Good solid creature with crazy inventions, some of which are really strong, especially if you have board control. Plus I don't know what all his inventions do and I like seeing new ones! You get this guy if you spend any money at all in Beta. 2 Sunwalkers for the Holy Fire and the Ragnaros. Very solid creature, it's a defensive version of the much admired Argent Commander. Temple Enforcer for Ysera. Very powerful card with all sorts of synergies. It's great if it buffs the Lightspawn or the Berserker. My guiding principle here was to go for the same mana cost (although I don't own anything good close to Ysera's mana cost) and, if possible, similar utility. When adapting a deck it's important to look for synergies and make sure you appreciate any combos you may be breaking. Fortunately here the cards I don't have are just strong cards but not particularly synergy cards, in fact the chargers possibly synergise worse with the priest's healing ability. Here's the final deck I came up with. I made it to do my daily, 2 games later it's got 2 wins.The best moment was when the mind visions stole Ragnaros and Mind Control. He played Ragnaros, I played Ragnaros and it randomly blew up his Ragnaros. He then stole my Ragnaros and I used his Mind Control to take it back and kill him. People who write about games call those players of free-to-play games who spend really big "whales." These players are traditionally viewed as a small minority of the player base who finance the game for everyone else by spending so big. Typically they may constitute a tiny fraction of the player base, around 1%. I suspect Hearthstone will far exceed this proportion because partly due to its design and partly due to emergent factors it's going to attract a lot of players who spend really big. "The problem I see with Hearthstone's business model is that it just doesn't seem very worthwhile to spend a small amount of money. I feel like it pushes you to either play completely F2P or to spend a fair amount of cash." There's a lot to what he says, in particular I think Hearthstone will be very successful at persuading some of its players to spend very heavily. 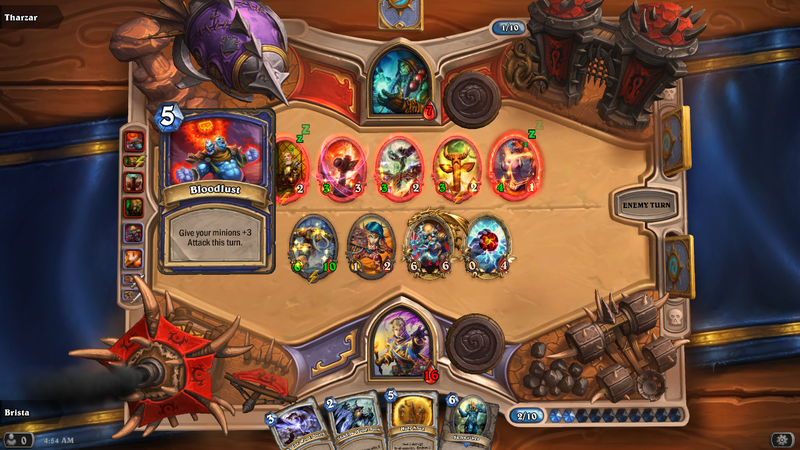 If a player researches Hearthstone he or she is likely to be drawn to the e-sports scene and the various streams of top players. There's at least one fully professional Hearthstone player already and the game's not even out of closed beta. This is going to be highly aspirational for a lot of people - what job could be better for a gamer than playing games all day? But the truth of the matter is only a tiny handful of players will be able to reach those heights, in fact a statistically insignificant number set against the number of players and prospective players. It's possibly less than one in a million. This tournament will pay out $4800 in prize money. Now the game does a lot to encourage people to over-estimate themselves and it will draw from World of Warcraft which strongly encourages people to over-estimate themselves even in pvp. Hearthstone has a strong luck element - a great player might play his deck with no mistakes and still lose to a worse player who can string together 5 turns without cockups after drawing a great hand. Now that has several psychological effects. First anyone half-decent can beat anyone else in the game, even the top top players. So people are going to win a match against Kripparian or Trump and think "wow, I could be a top player, I'm better than that guy!" (They're not, they just got lucky). The luck element compresses people's win ratio. 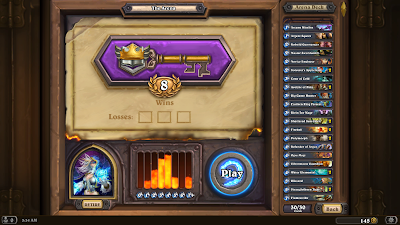 A really really good player, infinite in arena, will have a 75+% win ratio. Now if you have a 70% win ratio you're actually much worse but it looks close doesn't it? 70 is quite a similar number to 75. It's going to be even more opaque to people coming from World of Warcraft. In WoW pvp it's very easy to be a god among men - all it takes is time and picking a particular priority. The pvp gear makes you much much stronger against players who don't have it - they're basically free kills. And many people in WoW battlegrounds don't focus on being top killer, they try to take map objectives, run around with the flag, etc. Plus if you were in a pre-made you'll have gotten used to massacring random pug groups. All of that means you may have been insanely flattered by WoW rewarding you constantly for your pvp success and may still be completely mediocre. Top killer in a battleground seems like a measure of success but it's not really a measure of skill at all. 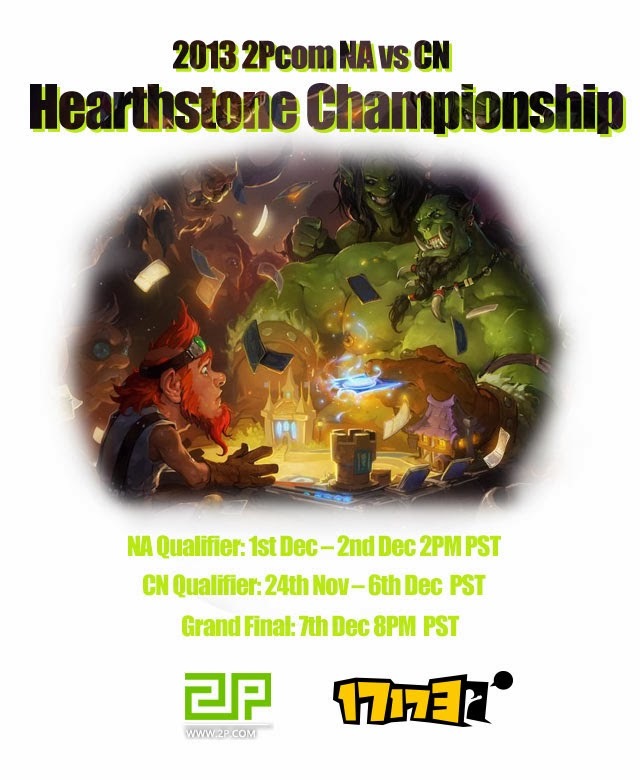 People who believe they have a chance to be a top Hearthstone player are going to be inclined to spend lots of money. There are two ways to be competitive: you either follow the meta or you set the meta. To follow the meta you will only have to craft the popular cards. Defender of Argus is a rare that gets used in a great many tournament decks so someone following the meta might make that. But there are lots of rares you'll not see ever used - they're underpowered or too niche. If you want to set the meta you need to have almost all the cards. You'll be doing things like making a secrets deck and testing it - which would need several rares and epics which, once you'd discovered secrets aren't really good you'd never use again. But you need a large collection so you can keep experimenting with obscure combos. The killer is that there's no trading. In a paper card game you could trade for those secrets cards, they them, then swap them for something else. In Hearthstone the only thing you can do with them is disenchant them but that would be a bad idea anyway because you then wouldn't be able to test the secrets meta in a new expansion. My advice is to follow Eve developer and former pro poker player CCP Rise's words of wisdom: don't innovate, steal then iterate. That talk really should be required watching for anyone who wants to be a top competitive player in any game. I didn't do this with my murloc deck but I did with my next deck idea. I moved up a bracket in Constructed play yesterday and suddenly my warlock murloc deck stopped farming me easy wins. So I looked around for a deck to steal and came upon SpecialistSC's Special Tactics Aggro Mage guide. I was missing about 7 of the cards so I just substituted in cards that seem good. It rocks, I'm now winning in One Star Masters more than I lose. I think goal setting is going to be very important in Hearthstone. I played Magic: The Gathering when it first came out at a very high level - I won two national tournaments, playing the final on a stage in front of halls full of people. But during the year I played Magic I spent about £5000 on it, to play at that level I felt I needed a full set of all the cards so I could experiment with deck ideas. 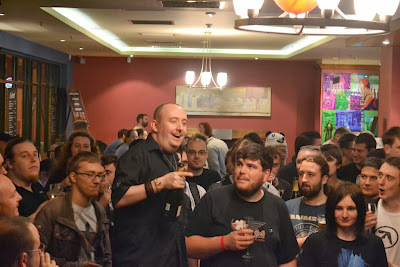 I don't regret that year, it was an awesome experience but when I accidentally lost my decks in a pub while drunk I wasn't sorry to say goodbye to MtG. 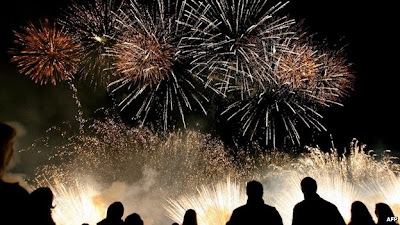 And I think I would have regretted it had I spent £5000 and not won - what's more I didn't realise how much I was spending at the time, it was only afterwards I added it all up and realised how much I'd spent. In Hearthstone I've spent £60 to kickstart myself once but I'm not really intending to spend more money. I didn't fancy playing completely free. A game takes about 10 minutes and if you win 50% then 6 games per hour will pay 10 gold, equivalent to about 10p (£0.10). That's a horrible grind rate - people mock players who make $1 an hour in other games but Hearthstone is one of the least rewarding in terms of real cash value. I also wanted to be a decent arena player so that £60 buys me 40 arena starts which is enough for a lot of practice. It's the dream of hearthstone players to "go infinite", to be able to win so often in the arena that the gold you win pays for the entry fee and you can play arena for free as much as you like. 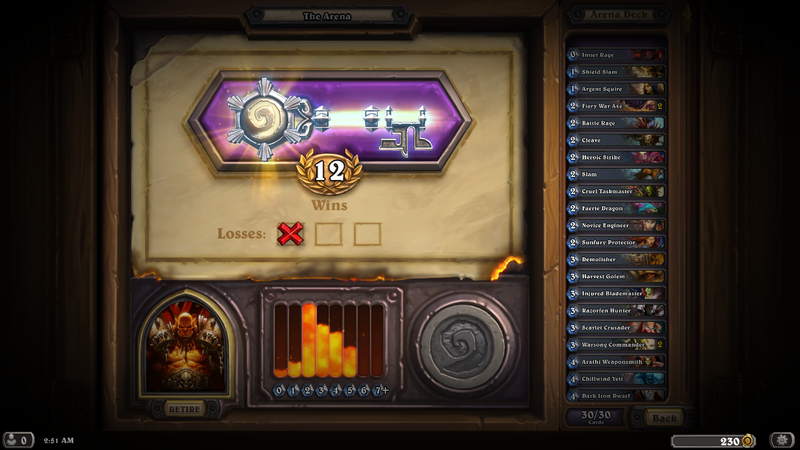 Arena is a bit tricky at first, my first attempt as drafting a deck was awful, almost everything cost 4 mana and I didn't glance at the graph at the bottom of the screen until after I'd picked all the cards. You can't quite see all the cards in that picture, I also have an Archmage Antonidas and a pyroblast. In fairness I'm not infinite yet: my recent results are 4-3, 8-2, 3-3, 3-3, 7-3 and 8-0. Still feels pretty exciting to be doing well after only a week. Eagle-eyed readers may spot that this damn game is keeping me up far too late! Hearthstone: get started with a Murloc Warlock deck! One of the first goals of a new Hearthstone player should be to make yourself an effective Constructed deck. I recommend the Warlock Murloc deck. A match "Amnesia" will want to forget. The first thing in is its favour is this: it's very very cheap to make. 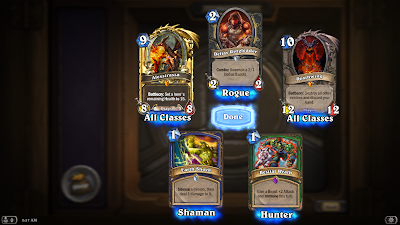 I got this dust by doing the unique quest that gives you 95, by playing arenas and by ruthlessly disenchanting every common I gained for 5 dust each. I didn't really want to melt rares and epics because who knows if and when I'll ever find that card in a pack again. In the end I melted one rare that I really didn't think I'd ever play in any deck. But one can melt commons pretty freely except ones that go in the deck. It's still a bit of a grind to get to 700 dust if you're free and if you're losing arenas you enter but it's much more achievable than most tournament winning decks because you don't have to craft the legendary. 0: 2 Soulfire. Really strong and sometimes just what is needed to take the last points of life. 1: 2 Blood Imp. Key card in the deck as we're using so many 1 toughness creatures. Power Overwhelming. Big creature removal/finisher. 2 Void Walker. Strong 1 drop and protects the fragile murlocs. 2: 2 Loot hoarder. Filler, card draw drop which will hopefully pull a murloc card out for you. 3: Shadow Bolt. It's useful to have a little removal. 6: Argent Commander. Our plan B. He can rescue a game that's gone sour or help finish an opponent quickly. Feel free to use something else if you don't own this rare. plus Old Murkeye and 16 of his friends, they can get ridiculously strong in large numbers. Focus on board control and tempo, life tap a lot as you really need to chuck down cards in large numbers. The best thing about this deck - you've almost always won or lost by turn 10. 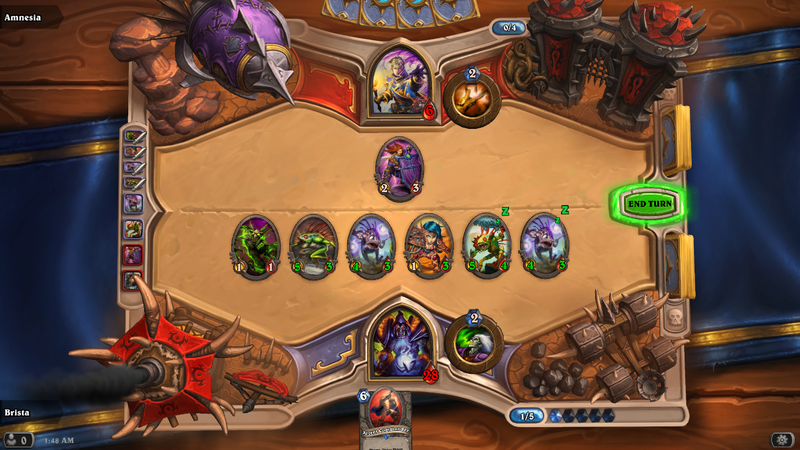 Hearthstone: how much money should you spend? Hearthstone has 2 play modes and both of them can be played for free but many players will want to spend more more. In Constructed mode you choose cards from your collection. It's perfectly possible to put together cards and make a perfectly reasonable deck. What's more the game's matchmaking system will rank you put you in with players of comparable power so all spending money will do is move you from a rank where you win half your games to a different, higher, rank where you win half your games. The main reason to invest real money if you mostly play Constructed is so you can try out different combinations. To some extent you can build powerful decks even without investing. I decided that the first deck I would go for would be the warlock murloc deck. You get the legendary murloc for free if you get one of each of the other murlocs - it costs 700 dust to do this which is within reach of a starter player not spending any money. (I ruthlessly disenchanted my commons to get enough). Still it's nice to have a more solid card collection and it's fun messing around with different deck styles and so on. Constructed players can buy a pack for 100 gold or do an arena run which will normally pay a pack + 30 gold + a small amount of dust unless you have a good run (which isn't very likely if you don't practice arena intensively). The other play mode is Arena. 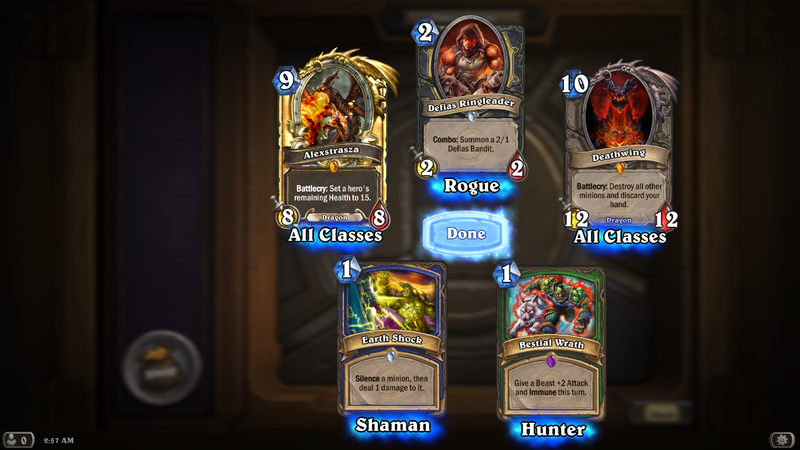 Arena charges an entry fee and awards you a pack of cards plus some random loot. The fee is either 150 gold or £1.49 ($1.99 in the USA). To finance yourself in gold you either need to be so successful in the arena that you usually win. This is known as "going infinite." I'm going to be brutally honest - you probably won't be able to go infinite. Here's some data on gold prizes for arena runs, collected by redditor /u/chauchih. Note that 1-3, 2-3, 3-3 and 4-3 all pay about 30 gold - that's where most people will end up most of the time. In fact if everyone got average results we'd always get 3-3 runs - 3 wins 3 losses. With considerable random factors at play in arena Hearthstone most players will tend to the average. Chauchih notes his average is 66% and that's still not enough to go infinite. Top top players like Trump can go infinite, but even Trump has a win ratio around 74%. So all players are clustered by the game design towards the middle, and the middle pays 30 gold, maybe 50-100 gold if you're really doing well. So for arena players you need to either pay real money or grind gold in Constructed mode and by doing daily quests. New players can take advantage of a ton of one-off quest rewards which will give you hundreds of gold, enough dust for a rare (more or less) and a couple of specific bonus cards - a parrot and a murloc. The daily quests are very short and pay 40 gold, which is an arena entry every three and a half days. Grinding gold pays 10 gold per 3 wins, or 45 wins per arena entry. Of course in practice, if you're an average player, past the newbie bonus quests you'll get some gold from your arena results, some from the dailies and you won't have to grind such a large number of wins each time. Now you will probably have to play 2 games per win. This is because it's a matchmaking system that sorts players into bands. If you were to be winning 75% of your games you'd be moved up to play against tougher opponents. So - unless you're in the top 1% and win all the time or the bottom 1% and lose all the time - you'll end up winning about 50% of your Constructed games. You don't get any gold for arranged games against friends although they're a lot of fun. Personally I put £60 on my bnet account, I also inherited £3 from the Diablo 3 real money auction house. So until they shut that down that's another way to play for your arena runs - you could grind in Diablo 3. I don't think that's much fun though or that there are many shoppers so I wouldn't recommend that. I do caution people to think ahead and budget. It would be very very easy to pour money into this game without really realising it.